Sometimes, the common names of plants are spot on, and bottlebrush plants are a great example. These native Australian shrubs produce bright red flowers that look just like the brushes you use to clean bottles. If your plant isn’t producing any of these cool, vibrant flowers, you’re missing out. How to get blooms on bottlebrush? 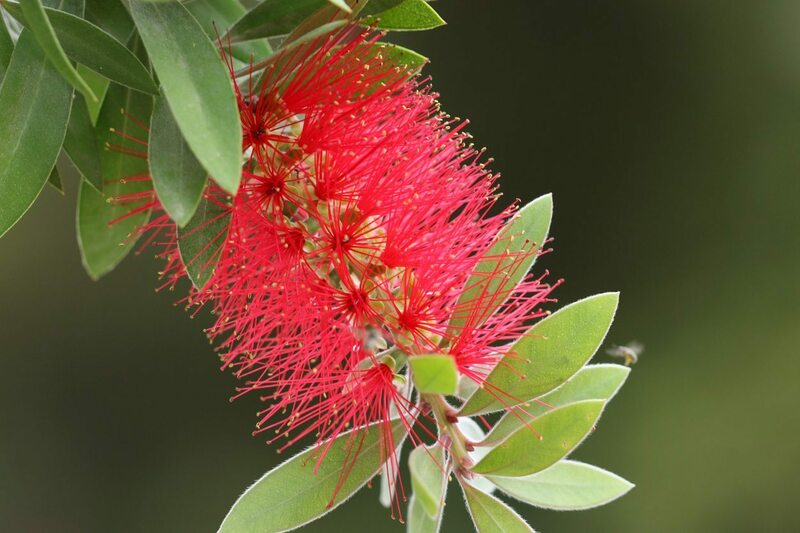 For tips on getting bottlebrush to flower, read on. When your bottlebrush plant (Callistemon) won’t bloom, your entire garden looks less joyful. Several different bottlebrush plant problems can result in a situation where bottlebrush won’t bloom. What are the most common reasons for bottlebrush not flowering? If your bottlebrush won’t bloom, it’s probably something you are doing wrong in caring for it. Reasons for a bottlebrush not flowering usually begin with a lack of sunshine. The first thing to consider if you notice that your bottlebrush won’t bloom is where it is planted in your garden and does it get enough sunshine. Bottlebrush plants need sunshine to grow and thrive. 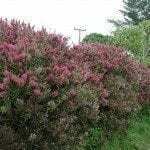 Experts advise you to plant these shrubs in a site that gets full sun, at least six hours a day. You can expect to see your bottlebrush not flowering if you position the plant in shade, or if plant neighbors grow enough to block sun from the shrub. What to do? You can cut back nearby plants and shrubs to allow sunlight to get to the bottlebrush. Alternatively, dig up the plant and move it to a sunny site. Getting sun on bottlebrush leaves is the first step to getting bottlebrush to flower. If you want to know how to gets blooms on bottlebrush, don’t shovel on the nitrogen fertilizer. Nitrogen causes foliage to grow, and sometimes it grows at the expense of flower and/or fruits. Read and follow label instructions on the fertilizer carefully. If you are going to make a mistake, err on the side of giving it less, not more. There’s no harm in trimming the tips of your bottlebrush plant to keep the shrub shapely. But if you prune at the wrong time, you may find your bottlebrush won’t bloom. 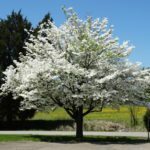 If you prune a plant while it is laden with buds, you are sure to minimize the amount of flowers it produces, or eliminate blossoms altogether. One key point in getting bottlebrush to flower is not snipping off the flower buds. Generally, it’s best to prune a bottlebrush just after flowering is done. But, as gardeners know, this is a shrub that blooms intermittently all year. The most prolific flowering, however, occurs in late spring and summer. It is just after this round of flowers that you want to get out the trimmers to shape your bottlebrush. 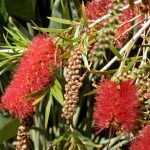 Read more articles about Bottlebrush.